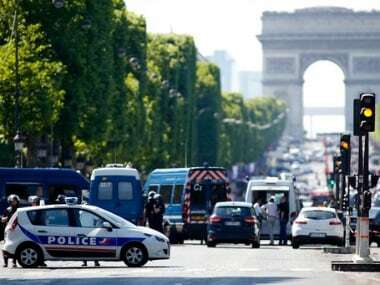 Paris: French police have taken into custody four members of the family of a radicalised Islamist who was killed when he rammed a car loaded with guns and a gas bottle into a police van on the Champs-Elysees, a judicial source said on Tuesday. The ex-wife, brother and sister-in-law of Adam Dzaziri were detained on Monday after police questioned them at the family home outside Paris. The assailant's father was also "taken into custody during the evening", the source said. Dzaziri was killed in Monday's attack, but there were no other casualties. Sources close to the probe said he had been on France's security watchlist since 2015 over ties to "the radical Islamist movement". The suspect's father said that his son "had a registered weapon, he practised shooting". A source close to the case said the 31-year-old had a firearms permit. There has been no claim of responsibility for the assault, which occurred just a short distance from where a jihadist shot a police officer dead two months earlier. 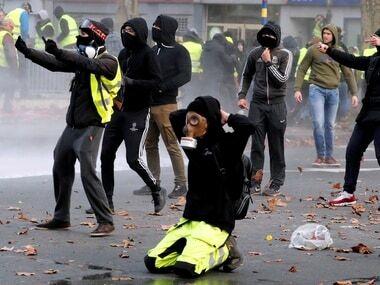 France remains under a state of emergency imposed after the November 2015 attacks in Paris, when Islamic State jihadists slaughtered 130 people in a night of carnage at venues across the city. 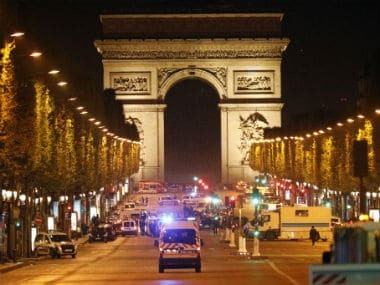 The latest attack came two days before the French government planned to unveil a new anti-terrorism law, designed to allow the state of emergency to be lifted.